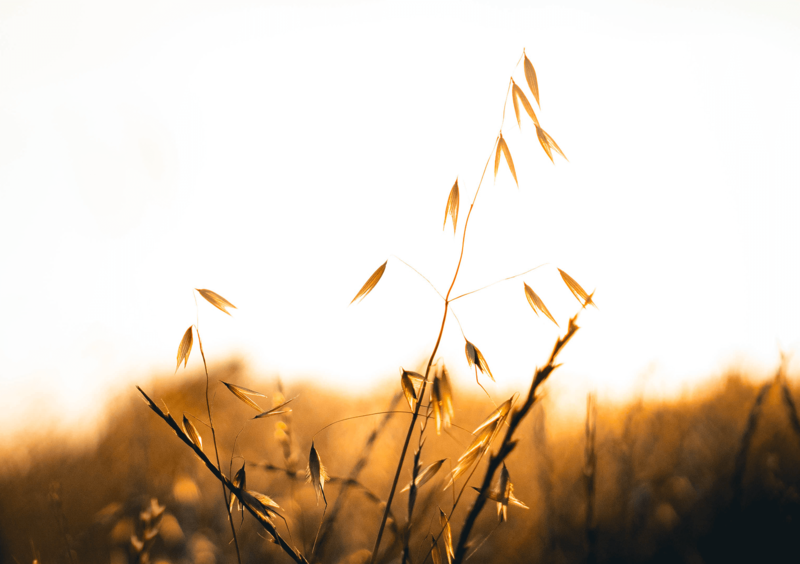 The caring and experienced professionals at Sorensen-Root-Thompson Funeral Home and Cremation Services, Aitkin are here to support you through this difficult time. We offer a range of personalized services to suit your family’s wishes and requirements. You can count on us to help you plan a personal, lasting tribute to your loved one. And we’ll carefully guide you through the many decisions that must be made during this challenging time. The first funeral directors in the area wer "Krech & Marr Undertakers". In the late 1880's they occupied a two story building located on the north main street of Aitkin, and later the building occupied the Hartman Funeral Home. The building was razed in the 1950's. After Krech & Marr, the Aitkin area was served by two funeral homes. The first was that of the Elmer Seavey family - having migrated from Maine to Aitkin. Mr. Seavey started a hardware store in the 1800's. He later started building some furniture and coffins in a nearby building. The second funeral home was originated by the Hartman Family in another downtown storefront. During the 1940's, the funeral parlors moved from the main street and purchased large old Aitkin mansions. The Seaveys moved to the Hodgedon Home. The building remained a funeral home until 1962 when it was converted to law offices. The Hartmans moved to the Foley House - which is the current location of the Sorensen-Root-Thompson Funeral Home. The two funeral homes were combined in the 1960's as Ivan Sorensen and Gordon Root became partners. 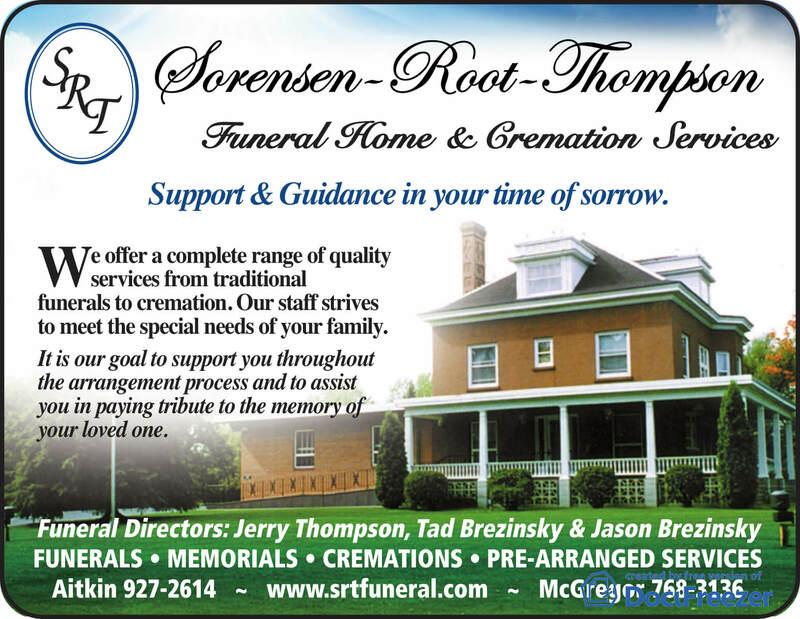 The business then became known as Sorensen-Root Funeral Home. The Brenny Family of Little Falls, MN purchased the funeral home in the mid 1980's. During their period of ownership, the Brennys also purchased the McGregor Funeral Home. Jerry and Val Thompson became owners in 1990, when the Thompson name was added to the business. They continue to serve the families of the Aitkin and McGregor communities.